Whether you're looking to create a new photography website or you've had a website for awhile and looking for a new design, a new WordPress theme can add some change and some excitement to your site. As you know technology for the web changes frequently as well as design. To stay up to date it's a good idea to either change your theme to a newer one or keep updating your site, if your theme developer keeps updating their themes. Here are 21 new WordPress themes for photographers that have been developed this year (2014). They give a good example of the new styles and options available if you're in the market for a new design for your website. Oyster has a ton of options including fullscreen design, both light and dark skins, sliders, portfolio galleries, different blog layounts, image flow gallery, fullscreen video, different portfolio layouts, a coming soon page, page builder, fontawesome icons, google fonts and more. Lobo is a modern, responsive WordPress theme with a unique, stylish look. Lobo is responsive, offers two different navigation options, modular content layouts, page builder, Royal slider, both Isotope and Masonry, infinite scroll, custom fullscreen backgrounds, parallax backgrounds, self hosted music, Fontawesome icons, google fonts and a lot more. Includes WooCommerce support. Optic is a responsive theme with custom galleries, customizable typography, colors and layouts. Kameron is a responsive photography theme built with a lot of custom features. It's responsve, includes a custom welcome screen slider, horizontal or vertical layouts, panoramic image support, youtube and vimeo support, fullscreen background images, SEO ready and a flexible image galleries. Santino is a responsive theme with full page design, rail slider, rating system, is SEO friendly and includes google fonts, fontawesome icons and 7 customizable layouts galleries. Also includes a custom login page for password protected galleries. Faith is a responsive WordPress theme for photographers with fullscreen design, music background, slideshow portfolio supporting video, parallax effect, all are combined in an attractive and flexible way to keep visitors on your website. Trend offers powerful theme options, thousands of color combinations, easy use, fast build, with an amazing look. Trend comes with a category slider, Ajax navigation, full background images, video backgrounds, Google map integration, 3 blog layouts, 3 gallery layouts and more. Border is fully responsive and packed with a ton of features including slideshows, grid based galleries, and animated gallery cover designs that use text and lines offering an impressive first impression to your photography website. Quantum is a clean and responsive theme offering 6 different home/project pages allowing you to choose different layouts for your specific needs. It offers 3 portfolio layouts and different sliders including fullscreen backgrounds, fullscreen galleries and a custom Umbrella Agency Slider. Camilla is a modern, minimal, horizontal WordPress theme including one-page layout principles, horizontal scroll, distraction free fullscreen galleries. It is SEO optimized and includes many shortcodes including one for pricing tables. Hiker is fully responsive and retina ready and offers a really impressive, bold design. It includes a ton of features including a fully customizable homepage grid with drag & drop ease. It is WooCommerce ready and offers a page builder to help you create pages, galleries and portfolio pages. Photoform is a responsive theme that includes infinite layounts, 5 gallery layouts, centered logo in navigation and unlimited color options. Pure Photos is a feature rich, modern WordPress theme that offers a very impressive overall design. Includes both light and dark versions, 100% responsive design, 2 premium image slider, 9 unique full screen slider effects, 9 different popular homepage styles, premium icons, woocommerce ready and more. You really have to see this theme for yourself to get an idea of it's awesomeness. Nexus is a clean, minimal WordPress theme that offers 8 different homepage styles and you can use it as either a multi-page site or a one-page site. Includes demo content to get your website up and running quick along with a drap & drop page builder. Includes fontawesome icon integration, smooth scroll, custom widgets etc. Volta is a clean and minimal WP theme with 3 screen variations, responsive design so it looks stunning on all types of screens and devices (desktop, notebook, tablet and mobile). It offers fullscreen background sliders, images and you can even use video. Create portfolio albums that supports Image, Video, Slider, Vimeo, Youtube and SoundCloud. Shutter offers a minimal design with both light and dark skins. 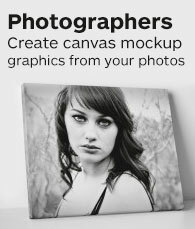 It has 20+ page templates to choose from and simple theme options. Diva is an impressive theme for photographers with a nice homepage gallery, responsive design, and fullscreen feature that brings your photos to the forefront of the site. 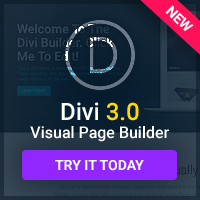 It includes Visual Composer page builder for easy page creation, demo data, google maps, custom page templates, post types and even Mailchimp integration. Fotomin is 100% responsive, WooCommerce ready, offers light and dark versions, 5 home page templates, 6 gallery types, password protected galleries, fontawesome icons, Contact Form 7, and more. Stellar offers a clean and elegant design that can be used for any portfolio, photography or business website. It is responsive, 2 different styles of navigation, 11 gallery layouts, full screen slideshow galleries, music support, password protected galleries, support for video and tons of other options. Rosie is a responsive WordPress theme that photographers can use as it contains several different styles to choose from, one of which is a very nice photography centric style. It offers a drag & drop page builder, premium sliders including the one seen above which is a 3D carousel. Tons of options and features you should check out. SQA is a clean and nicely designed WordPress theme with bold colors. It is 100% responsive, offers 3 different homepage designs, pricing tables, several portfolio types with different column numbers, different blog templates such as grid-based, or standard. 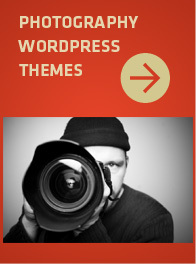 I've created posts in the past about photography WordPress themes. You might want to check it out if you haven't found what you're looking for here. Some of the themes available are still being updated and still viable themes for a new website or redesign. Please check that post out if you haven't yet.